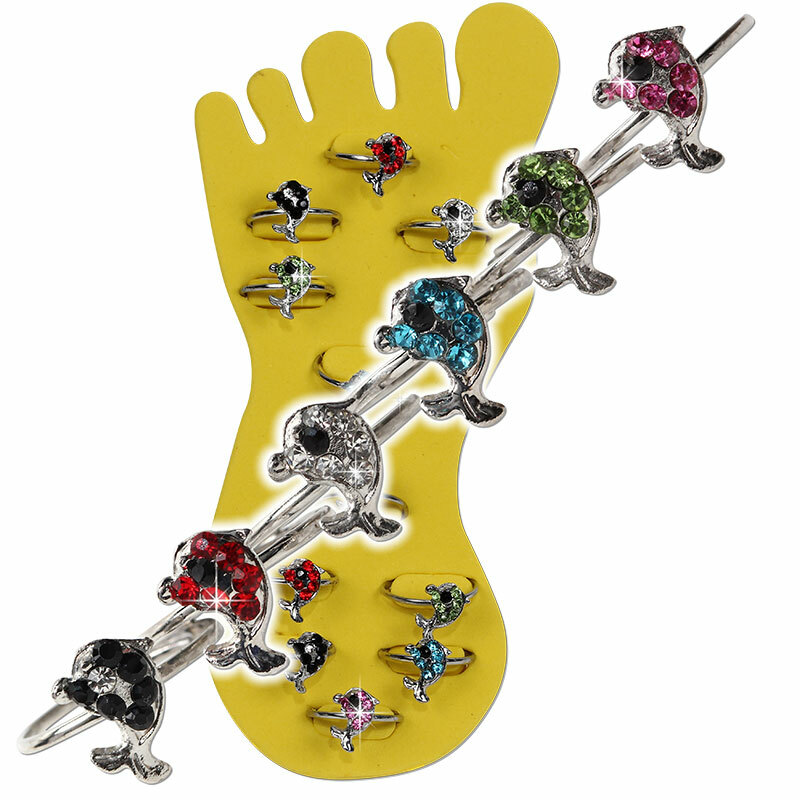 Crystal dolphin adjustable toe ring on 12pc foam display foot. Assorted colored crystals and display foam. Please order in dozens.